Rongsheng Resource (Luxembourg) Holding Co., Ltd.
Rongsheng Resource (Luxembourg) Holding Co., Ltd. is established in 2013, as a professional investment platform of energy industry of Rongsheng group, Rongsheng Resource (Luxembourg) Holding Co., Ltd. focuses on investing and exploiting resources as petroleum, natural gas, etc. in the world, and sets up an integrated industry chain of resource exploration, exploiting, transportation and processing, which becomes an important strategic step for the group to optimize overseas assets and develop international project cooperation. Currently, the company has participated in exploring and exploiting of several projects in oil and gas enrichment area of North America. Zhejiang Rongtong Logistics Co., Ltd.
Zhejiang Rongtong Logistics Co., Ltd., a professional logistics company of Rongsheng group, has abundant resource of sea transportation and a special tank truck team automatically loading and unloading liquid and powder material of PTA, MEG, etc. The company employs senior experts to provide modern logistics service combined with fast, professional and efficient ship booking, customs clearance, inspection declaration and agency transportation of waterway, railway and highway. Zhejiang Rongsheng Venture Investment Co., Ltd.
Zhejiang Rongsheng Venture Investment Co., Ltd.is established in 2010, Zhejiang Rongsheng Venture Investment Co., Ltd. is a professional management platform of Rongsheng group for venture capital and private equity fund, committing to invest excellent high-growth and high-tech enterprises at Greater China Region and overseas, including multiple industries as medical treatment and health, clean technology, new material, high-end manufacture, new economy, consumption upgrade, etc. Besides capital support, Rongsheng Venture Investment teams give great impetus to enterprise development on strategic development, market exploitation, resource integration, talent introduction, eventually help the enterprises achieve success. Ningbo United group co., Ltd.
Ningbo United Group Co., Ltd. is established in 1988 and listed on the stock market in April 1997. Since listed, the company moves further to set up development strategies, implements industry integration, and focuses on competitive industries development, gradually forming a development pattern of three-major-industries advancing together with thermoelectricity, real estate, import and export trade. Meanwhile, the company positively steps to the fields of tourism and culture featured real estate and wedding industry, etc., becoming a large-scale investment group with great marketing competitiveness. Hangzhou Shengyuan Real Estate Development Co., Ltd.
Hangzhou Shengyuan Real Estate Development Co., Ltd. is established in 2002, Hangzhou Shengyuan Real Estate Development Co., Ltd. is specialized in development and marketing of real estate. Persisting in the brand belief of “Quality Determines the Market”, the company actively explores perfect combination of architecture art and habitation concept, and has successfully developed attractive and excellent projects, namely as Shengyuan Wisdom, International Nobility, Xianghu No.1. The headquarters of Rongsheng Petrochemical Co., Ltd. is located in Xiaoshan, Hangzhou, in neighborhood with Xiaoshan International Airport and China Textile City. The company is one of the leading enterprises of the petroleum and chemical fiber industry in China, and was listed on the stock market in November 2010 (Stock Abbreviation: Rongsheng Petrochemical; Stock Code: 002493). The company is specialized in the production and marketing of the relative products of petroleum and chemical fibers, and has a coordinated industry chain of refining-chemical integration, aromatic hydrocarbon, pure terephthalic acid (PTA) , polyethylene terephthalate (PET), spinning and false-twisting. The company ascends the high ranking of the same industry because of its industrial chain integrity and industry scale. Zhejiang Petroleum & Chemical Co., Ltd.
Zhejiang Petroleum & Chemical Co., Ltd.is established in June 2015, Zhejiang Petroleum & Chemical Co., Ltd. is a new type of mixed ownership company, formed by private emprises and involved with state-owned equities. The company is specialized in refining of petroleum products, production, marketing, storage and transportation of chemical and petroleum products, meanwhile involving in import and export trade of crude oil. Now the company is starting to construct a refining-chemical integration project with a total capacity of 40MMTA. The project is divided into two phases, and each phase consists of refining capacity of 20MMTA, aromatics capacity of 5200KMTA, ethylene capacity of 1400KMTA. Zhejiang Petroleum Co., Ltd.is established in 2017 and located at China (Zhejiang) Pilot Free Trade Zone, Zhejiang Petroleum Co., Ltd. is specialized in production and processing of crude oil, refined oil products and fuel oil, storage and import & export trade, retail of refined oil products, etc. The company also invests to develop infrastructure relative to the oil industry and participates exploration and exploitation of oil resources at home and abroad, eventually to realize five types of business layout, including offshore oil supply as emphasis, refined oil products as basic business, wholesale and retail of refined oil products as leading business, crude oil reserve as support, and jet fuel marketing. Ningbo Zhongjin Petrochemical Co., Ltd.
Ningbo Zhongjin Petrochemical Co., Ltd.is established in September 2004 and located in Ningbo Petrochemical Economic & Technological Development Zone, Ningbo Zhongjin Petrochemical Co., Ltd. is a large-scale petrochemical enterprise. The company persists in self-dependent innovation, developing advanced technologies of production and self-control. Meanwhile, the company has set up long-term cooperative partnership with UOP and CBI of USA, Zhejiang University, Zhejiang Sci-Tech University, etc., possessing stronger innovative ability and technical reserve. The company has completed the aromatic hydrocarbon project with a total capacity of 2000KMTA. Since put into production, the company ascends the high ranking of the enterprises of the same industry throughout the country. Yisheng Dahua Petrochemical Co., Ltd. Located at Dgushan Petrochemical Park of Dalian Jinpu New Area, Yisheng Dahua Petrochemical Co., Ltd. has developed to be a large-scale petrochemical enterprise which is dominated by production and marketing of PTA (Pure Terephthalic Acid) and supplemented by import and export of technology and cargoes. The company persists in self-dependent innovation, develops and constructs the domestic PTA production equipments, realizing localization application of core equipments for the first time, which has changed the way to depend on foreign complete set of patented technology for a long term. Zhejiang Yisheng Petrochemical Co., Ltd.
Zhejiang Yisheng Petrochemical Co., Ltd.is established in 2003 and located at Ningbo Economic and Technological Development Zone, Zhejiang Yisheng Petrochemical Co., Ltd. is a modern large-scale petrochemical company specialized in production of pure terephthalic acid (PTA). The company is next to the China’s Deepest Port—Beilun Port, a well-equipped sea terminal for chemical products. The company is designed and supported by world-famous technological patent suppliers and engineering companies of PTA industry and its main equipments are imported from European countries, America, Japan, etc. to achieve advanced technology and safe engineering design. Hainan Yisheng Petrochemical Co., Ltd.
Hainan Yisheng Petrochemical Co., Ltd. is established in 2010, Hainan Yisheng Petrochemical Co., Ltd. is located in Hainan Yangpu Economic Development Zone, mainly specialized in production and marketing, import and export of pure terephthalic acid (PTA) and other chemical products, meanwhile also other legal projects, import and export agency, etc. The company has production lines of pure terephthalic acid (PTA) and multi-functional polyethylene terephthalate (PET), and is supported by Hainan Yangpu Lotus Hill petrochemical logistics park, ranking one of the three greatest PTA production bases of Rongsheng group. Zhejiang Shengyuan Chemical Fiber Co., Ltd.
Zhejiang Shengyuan Chemical Fibre Co., Ltd.is established in 2003, Zhejiang Shengyuan Chemical Fibre Co., Ltd. is specialized in producing new type PET polyester fibres and differential fibres. For the PET part, the company has applied China Textile Industrial Design Intuition’s four-kettle polyester technology of direct polyester, continuous polycondensation, and its unit energy consumption of raw material, product quality and integrated energy consumption have reached the international advanced level. Moreover, for the spinning part, the company implements “Machine Replacement” Project, which is the earlier intelligentized automatic assembly line system for the chemical fiber industry. Rongxiang Chemical Fibre Co., Ltd.
Rongxiang Chemical Fibre Co., Ltd.is established in 2017 and located in Rongsheng headquarters of Yinong town, Xiaoshan, Rongxiang Chemical Fibre Co., Ltd. is specialized in production and processing of chemical fibers and chemical fabrics, marketing of textile raw material and products. 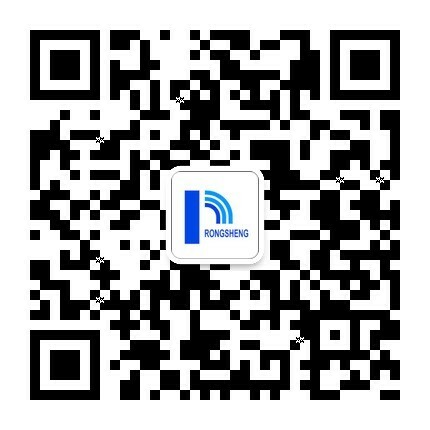 Rongsheng International Trade Co., Ltd.
Rongsheng International Trade Co., Ltd.is established in 2016, Rongsheng International Trade Co., Ltd. is in full charge of purchasing and marketing business of up-down streams raw material of Rongsheng industry chain. The company has set up multiple branch offices and business outlets in Shanghai, Ningbo, Singapore, etc., including physical and futures trade of crude oil, oil products, ethylene, aromatic hydrocarbon, chemical fiber, etc. The company actively takes agglomeration advantages of Rongsheng Petrochemical industry chain to make broad cooperation with crude oil and product manufactures, traders, service providers throughout the world, and its products are sold on six continents and more than 40 countries. Rongsheng Petrochemical (Singapore) Private Co., Ltd. Located in Marina Bay Financial Center of Singapore core financial district, Rongsheng Petrochemical (Singapore) Pte. Ltd. is one of wholly-owned subsidiaries of Rongsheng Petrochemical. The company is specialized in trade, finance, transaction of petrochemical and raw material products (including crude oil, fuel oil, petrochemical products, etc. ), and purchases raw material of Rongsheng from the international markets to support the project operation at home. As the overseas window, the company is the important platform for Rongsheng to walk from Asia to the world. Suited at Cao’e River bank, formerly named Zhejiang Ouya Film Co., Ltd. Zhejiang Yongsheng Film Technology Co., Ltd. is a large-scale PET film manufacture with over 10 years’ history. The company applies international advanced production technology of direct melting farad film, and imports PET equipments from Swiss Inventa, supported by German Dornier’s farad film production lines and German Commscope’s splitting machines. Its product polyester film (BOPET) can be used for printing, aluminizing, gilding, cannetille, etc. Zhejiang Juxin Chemical Fiber Co., Ltd.
Zhejiang Juxin Chemical Fiber Co., Ltd.is established in 2016 and located at Binhai Industrial Park of Keqiao District, Shaoxing City, Zhejiang Juxin Chemical Fiber Co., Ltd. has PET and chemical fiber production equipments, and its business scope is mainly production and marketing of polyester yarn, polypropylene yarn, textile fabrics, etc.